A Lovely Life, Indeed: Snack of Champions...Shake it Up, Baby! Snack of Champions...Shake it Up, Baby! I'm not a huge fan of bananas. But, when my potassium levels dropped, I realized I needed to incorporate more potassium rich foods into my daily diet. There are many potassium rich foods, including dark leafy greens, white beans, avocados, and sweet potato. An official list from the USDA is here. 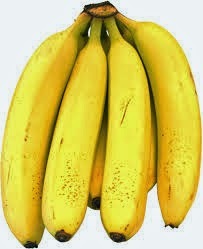 And then we have the poster child of potassium...the banana. I love peanut butter. I eat it like it's my job. And peanut butter goes splendidly with bananas. I can tolerate bananas...if I have peanut butter. Take a bag...any sandwich bag will do. Peel, slice and place the banana into the bag. 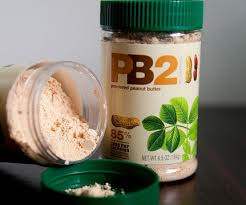 Add 2 tablespoons of PB2 powdered peanut butter*. I find this at Walmart, my local food stores and vitamin shops and online at Amazon. There is one infused with cocoa as well...still delicious. Close your bag and shake it up. Each slice of banana will be perfectly coated in peanut butter deliciousness. *PS--Natural peanut butter is best, but it's difficult to coat the bananas well. And this is so easy and portable. If you're not into the powered peanut butter, try natural peanut or other nut butter. Maybe heating to melt it a bit will help with the coverage. That is such a great idea!!! I love bananas and I already have PB2 in the cupboard. Let me know what you think. :-) I love it! It's fabulous! I also mix it with plain or vanilla Greek yogurt. Delish! This sounds great for my husband! I have PB2 and banana every day. I reconstitute the PB2 and mash my banana in it. My fav! It's a low cal, nutritious snack and I enjoy then both!! If you're looking for other ways of getting in bananas...sliced and drizzled with Dark Chocolate Balsamic Vinegar is a nice switch too!